This is the third post (earlier episodes are here and here) on chess on the Home Front in World War 2, occasioned by the 70th anniversary of VE day. The episode starts by continuing with the contribution made by Dr. Tartakover to British chess in the period, It will then examine the controversy concerning the role of the British Chess Federation. Here, again, we are treading on egg-shells. It is a subject that may still inflame passions. Lieutenant Cartier (easier to pronounce, it was said, than Saveilly Tartakover) seemed to have been very active on the British chess scene in the war years. That is despite the Yorkshire Post's chess column of 17 November 1941 report, that "on the outbreak of the war he adopted a French name, enrolled under General de Gaulle, and forswore chess - as much because he wanted a rest from the game as for any other reason...For nearly 40 years now he has played international chess as a professional all over the world." Perhaps he got a rest from international tournaments, but that's as far as it went. He was not only playing for the Forces teams, but doing simuls. as well, plainly for morale-boosting purposes. So, for example, in 1942, he played in succession a "strong team of seventeen" from the Royal Netherlands Brigade, then another eight games (of which four were each against two opponents in consultation), followed by three game match against Dr Zak (against whom he conceded the only half point in the whole exhibition). "Sensational" (BCM Oct 42). 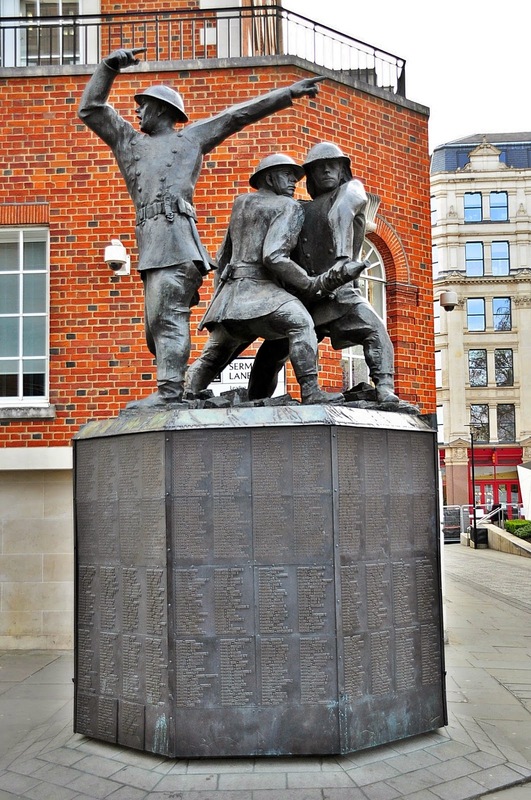 He was also fund-raising: in 1943 he played a 40 board simul in Southwark, arranged by the London Fire Service, in "aid of the orphans of fireman who lost their lives in air-raids. Board fee is 1s. (one shilling) which goes to the fund." (BCM Aug 43), and another for Ilford Fire Service (BCM Sept 43). National Firefighters Memorial, Cannon Street, London. 1200 names are inscribed on the base. A number of Tartakover's war-time games were recorded, and may be conveniently found in Chess History Note 5210. Otherwise, as has been observed elsewhere, Tartakover's non-chess war-time activities for the Free French Forces under de Gaulle are unclear; but given that he was in his mid fifties it seems unlikely that he was involved anything especially active near the frontline; he was already decorated by France for action in the First War. Even though the Blitz was over in 1941, in 1942 going into 1943 (when the tide of the war turned at last) and beyond, there were still to be casualties from "tip and run" raids - including on the chess front. St. Bride's Institute, the HQ of the London Chess League (as it was to remain even after the war), was damaged on more than one occasion (BCM Nov 42). using the original Wren walls. It survived the 1942 raid, when in spite of the bombing, the fire, and the deluge of water from the Fire Service, the property of the League and of the Lud-Eagle club remained happily "intact, if dusty". The League had discussed decamping to the ill-fated National Chess Centre when it opened back in 1939. With uncanny prescience it had decided not to. Later, in February 1944, Owen Dixson copped it. As he describes in his book My Way With Polio, he had moved from his bungalow in Welling in Kent to Chelsea to give himself an easier commute to a new stop-gap job as librarian at John Lewis, to which he had been recruited by Vera Menchik. She saw him as the successor to R.H.S.Stevenson as manager of a post-war re-established NCC - Dixson was already known to J. Spedan Lewis (the chess-enthusiastic head of the John Lewis partnership, and an ECF Vice-President) from pre-war congresses. But calamity struck: "Within hours of our arrival at the new flat...the place was a shambles...- bombed out", and not long after he was knocked over by an Army lorry (turning right without signalling Dixson alleged; denied by the Army, who refused him compensation) and feared for the viability of his polio-damaged foot. It, and he, survived, and 15 years later he won a prize in the Daily Mail's London to Paris air race in 1959 - for which "Bravo!" But had the BCF been doing enough for the British war-time chess effort? This was the challenge laid down in the editorial column of Chess February 1943, written by B.H. Wood. "Disgraceful" is how it characterised the BCF's recent Annual Report. The debate rumbled on its pages until October that year. The BCF had, as Chess acknowledged, given a "word of appreciation" for Owen Dixson's efforts, but the work of Ashley Vernieux and J. du Mont, who had "rescued Services chess from oblivion - doing the B.C.F's own shamefully shirked work - is ignored." The editorial pointed the finger at "two or three rich and influential men....nine-tenths of [the Federation] needs replacing." This provoked a response in defence of the BCF from Mr van Meurs (of Clapham Common CC and a Surrey man) - "the BCF exists entirely for organised chess, which is now conspicuously absent owing to the war effort and black-out, at least as far as London and its great distances are concerned. No-one admires more than I do, the great work of J. du Mont to promote Chess in the Army...."
Mr Stammwitz, and Mrs Stevenson, also sprang to the BCF's defence (R.H.S. Stevenson, who had died on the 10th February 1943, had, of course, been its Honorary Secretary), with Messrs Winter and Olsen backing Wood. A.C.Vernieux, who had been editing a chess column in the Forces weekly Blightly (byline: "It laughs its way to victory") sought to avoid personalising the debate: "the question, to my mind, is not concerned with individuals but with the joint responsibility of the corporate body for fostering the quantity and quality of chess within the sphere of its jurisdiction....it follows that the B.C.F. are to blame for, say, the fact that every County hasn't had an Association and that the opportunity afforded by the unusual war conditions here to further its purposes has been neglected..." (Ch July 1943). 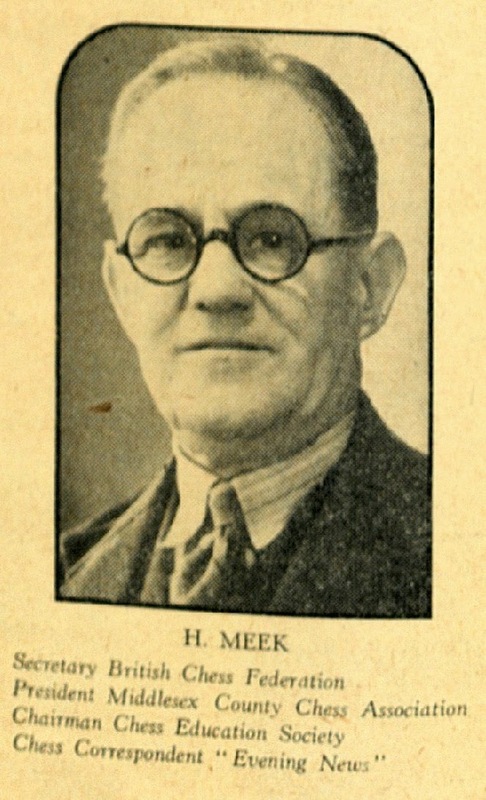 In the same issue of Chess in July 1943 B.H. Wood published four proposals for the BCF's executive meeting that month. It should, he suggested: (a) officially approach the three Services to promote organised chess; (b) seek to get the Blighty column reinstated, subsidising it if necessary; (c) in the absence of elections because of the war, co-op a number people "whose efforts since the outbreak of war justify [it]"; and (d) "make every effort to attain contact with new centres of chess". A.C. Vernieux's chess column in Blighty first appeared on March 30th 1940 (it was "very good" said Owen Dixson in My Way...), but it had stopped abruptly in August 1942 and Wood proposed an effort to revive it. The column had started on Vernieux's initiative (so said the Blightly's editor in an introductory paragraph to the first column), and had kicked off a disarmingly encouraging note, that "Notwithstanding opinion to the contrary, chess, like football and cricket, is an easy game. Any average fellow can play it after a little explanation." The first column showed the moves, naturally, and the second explained the notation. It then rapidly evolved into a no-holds-barred, full-blooded chess column including games of all standards, chess news national and international, and problem composing competition for service personnel (prizes: 20, 10 and 5 shillings). Vernieux was not shy of insisting on the column's prerogative in bringing chess-in-print to the Forces, so in July 1941 he rebelled against the idea that "a weekly or monthly bulletin of news of chess in the Services will probably be published by [the BCM and Chess]. This honorary column, already in existence in Blighty’s weekly edition of 120,000 copies, is clearly the best medium for presenting the Forces to the Forces." were up and about !" 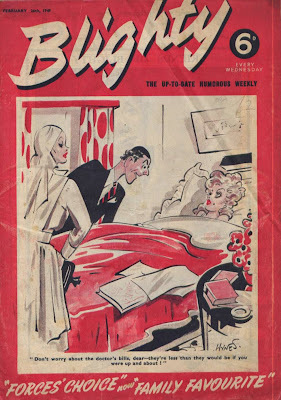 A post-war Blighty from 26 February 1949. In colour - though it's humour was still, as ever, rather off. Blighty's war-time cartoons consistently portrayed scantily-clad, and flirtatious blondes, cantankerous mature ladies, naive new recruits, lecherous top brass and, with an unconscious racism, grass-skirted young black women. 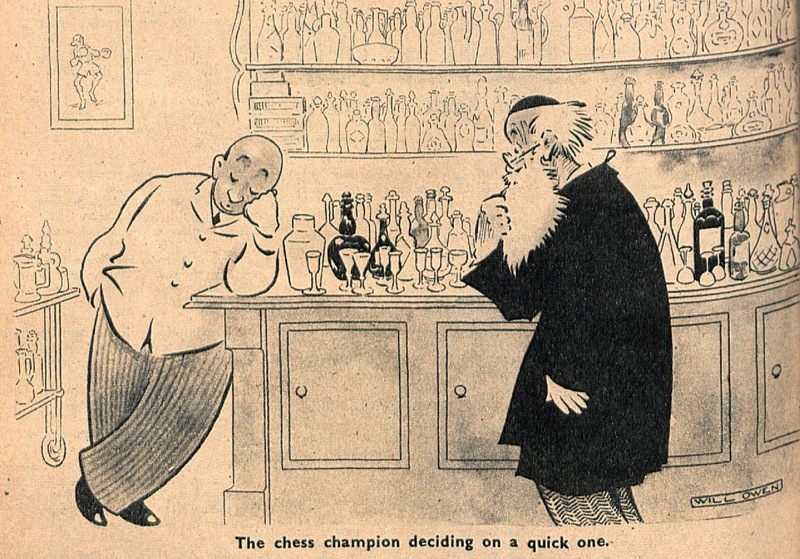 There was, it should be said, not one of these in its chess column; nor in the cartoon below. From Blighty December 12 1942. "A ponderation of the eve of the egregious Aryan move at Bombay: The difference between Gandhi's non-violent non-co-operation nonsense and the Blighty Defence is that his is." And with that suggestion of unrest in the Colonies, the curtain came down on the chess column. "While the B.C.F. shilly-shallies over whether it dare follow Russia's example and make chess of benefit to servicemen and civilians alike or simply return to the rudely disturbed slumber of its wart-time hibernation, scores of clubs up and down the country are gallantly keeping the flag flying. Civil Defence clubs form themselves into leagues, and occasional county, like Essex or Kent, runs a championship or congress. Football, cricket, boxing, all carry on, attracting crowds in their thousands. Only chess remains officially dead..."
...Let us hope that there will soon be signs of new ideas." - that was after observing that "the logical sequel to the present quarrels may prove to be the founding of a rival organisation, which would be unfortunate for the game". I have no idea whether there was any substance behind that suggestion. ....why was there "...no chess to help while away the blackout? Why was nothing being done to send chess sets to the Forces? Where were all the chess officials? To reply that every one of the well-known chess organisers was now on war work, or evacuated, or too busy, was said to be a feeble excuse and no answer at all..."
He singled out Mr. J.H. van Meurs at the BCF who had remarked back in 1931 (said Owen Dixson) that a committee of one - meaning, in that context, van Meurs himself - was the way to get things done. Chess called a halt to the debate in its columns at this juncture: "As we feel that the campaign has had its effect we shall not refer to the subject again unless new developments occur". Meek, by the way, denied this claim in respect of his appointment as BCF Secretary. (Chess July 43). That, I hope, gives the flavour of the controversy. Should the BCF have been more proactive; could it have done more to encourage chess at all levels as per its objects? On the other hand, did it do a decent job in the circumstances by weighing-in behind significant initiatives? In short, was the war an obstacle or an opportunity? As for what was actually happening on the ground, the BCM Editorial of January 1943 said that although "the past year [ie 1942 -MS] had not seen any change from the state of prostration into which is was thrown by the declaration of war...Signs are not, however, wanting that the fettered giant is beginning to stir" and it gives a list of clubs "which kept the flag flying". This included (in London and Surrey) Hampstead, Guildford and Dorking. 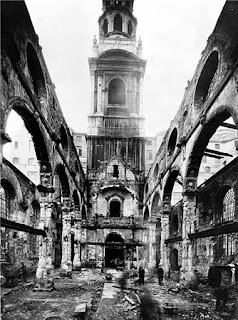 It also included those which had resumed, such as Croydon Central, Lud Eagle (adding in September 44 that, after its resurrection, Lud-Eagle's "rapid growth was one of the romances of war-time chess") and the Athenaeum. This list was by no means comprehensive. By the way, you may recall in this connection the game from County Counting 8 won by B.H.Stronach in March 1943 when he played for Athenaeum (already revived in late 1942) in a wartime match against the we-never-closed West London. With the war and chess turning the corner we will conclude the series next time with a look at the partial revival of county chess in London and the Home Counties. The WECU county teams play for a trophy called the Harold Meek Cup. Would that be the same H.Meek as in this post? There's the old story that the reason the BCF didn't do anything was that several of its officers were in jail. I doubt it was ever that bad. You have already mentioned one of the jailbirds in passing, although I think it was established to have been at the end of the war and afterwards. Jack - sounds entirely plausible that it's the same Meek. Maybe Keverel Chess can confirm. Roger - Winter's Chess History Archive piece on William Winter gives a Bill Hartston discovery of an Evening News story from 1921 regarding his unsuccessful appeal against a sedition conviction. There is a fuller account in E. Winter's "Chess in the Courts". I wonder if it is likely that several of the BCF's Officers might really have been in jail during WW2 without it surfacing in the chess press. Stammwitz was jailed for bigamy and Ritson Morry for fraud/ misuse of client money. These are known facts, but that they were BCF officials at the time of their imprisonment may well be an exaggeration. Thanks Roger. You are right, there is a lot there on Forum, and in the CN's, on the whole business.